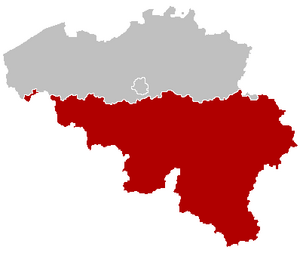 Wallonia is one of three regions in Belgium. 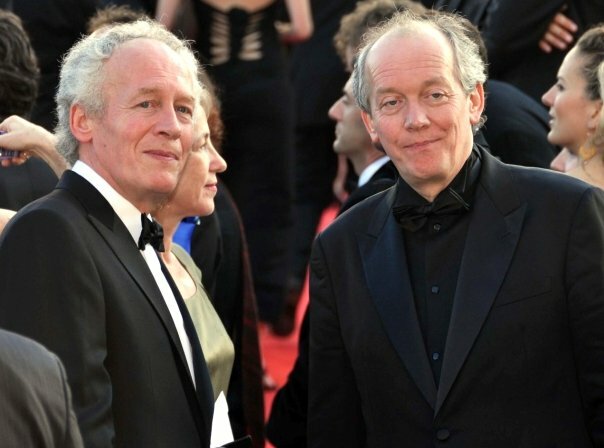 The other two regions are Flanders and the Brussels-Capital Region. 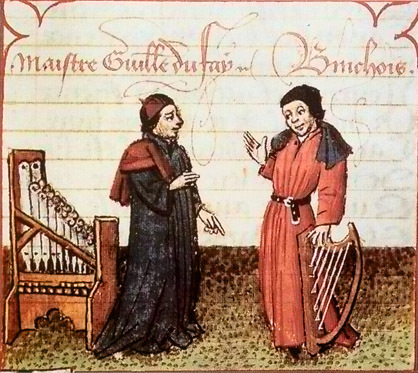 French speaking Walloons share the French community with French speaking people of Brussels. The capital of the region is Namur. 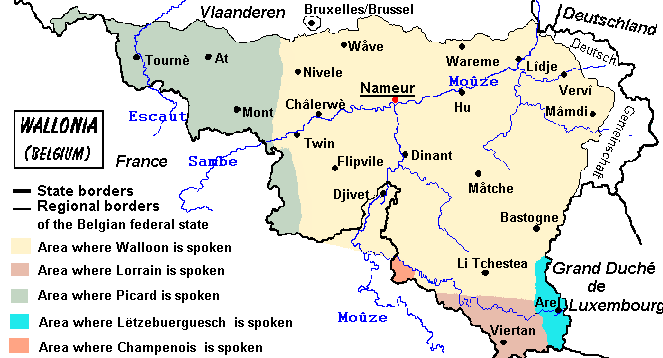 Other important cities are: Liège, Charleroi, Mons, Tournai and Verviers. Georges Lemaître is credited with proposing the Big Bang theory of the origin of the universe in 1927. 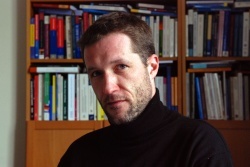 Paul Magnette is the current Minister-President of the Walloon Region. The Walloon Parliament in Namur (in pink), at a symbolic place at the confluence of the Meuse and Sambre rivers. 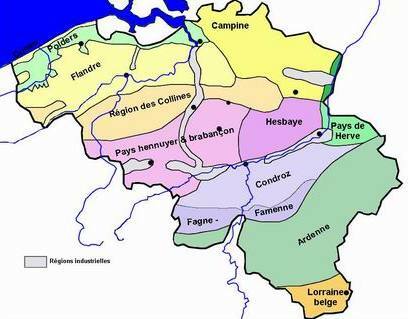 Two-thirds of the population of Wallonia lives along the Sambre and Meuse valley. Wallonia Facts for Kids. Kiddle Encyclopedia.